Oscar-nominated director Terry George shared his newest work with the Colgate community on March 27, nearly a month before its official release — thanks in part to the literary influence of Pulitzer Prize-winning English Professor Peter Balakian. George, best known for his work on Hotel Rwanda, about the Rwandan Genocide, and In the Name of the Father, concerning The Troubles in Northern Ireland, showed The Promise, which features an epic love story set against the horrors of the Armenian Genocide. One of the ways in which George researched the Armenian Genocide was by reading books by Balakian, who has written prolifically about the Armenian Genocide. “I ripped off so many of his books,” George joked with the audience during a Q&A session after the screening. 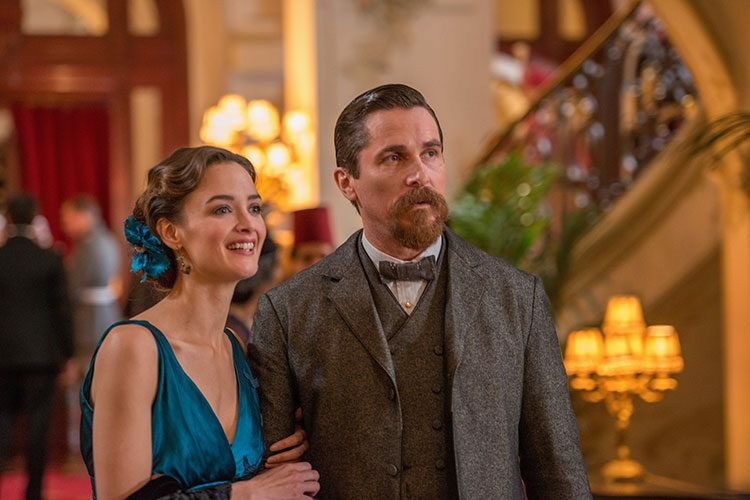 The film’s three main characters — played by Christian Bale, Oscar Isaac, and Charlotte Le Bon — are fictional, but the rest of the characters are real, and George was careful to ensure that everything shown in The Promise is as accurate as possible. “Even though they’re old-fashioned, these types of movies tell a story that hopefully educates people about an event they otherwise wouldn’t experience,” George said. When he finished making the film, he reached out to Balakian to thank him. George also proposed the idea to screen The Promise for a Colgate audience. Several classes attended the screening, including Balakian’s course on genocide and memory. “My students were incredibly engaged,” he said, adding that they continued the conversation about the movie in the following class. The Colgate community saw the film three weeks in advance of its official premiere on April 21, and otherwise, it has only been shown to small audiences on Capitol Hill and at the Toronto Film Festival. The film already has more than 86,000 online reviews — but, most of them are negative. “The negative reviews online all came from Turkish nationalists who are set up by their government to attack the film because their government is still in denial about the genocide,” Balakian said. Despite this, George hopes that The Promise will not only lead to wider recognition of the Armenian Genocide but also encourage people to think about the refugees in Turkey today. “We hope that this film gets the best possible audience, [so that] the word spreads and it becomes a movement,” George said.